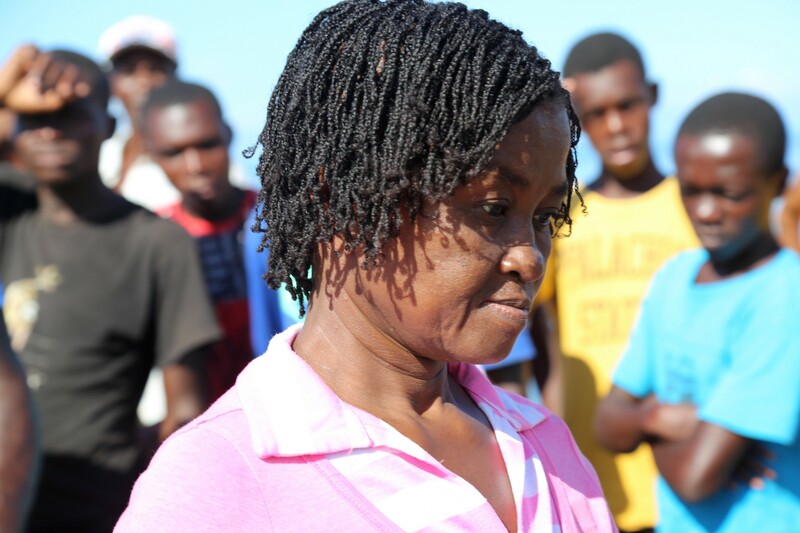 Jean’s husband died at a young age, leaving her to raise six children by herself. 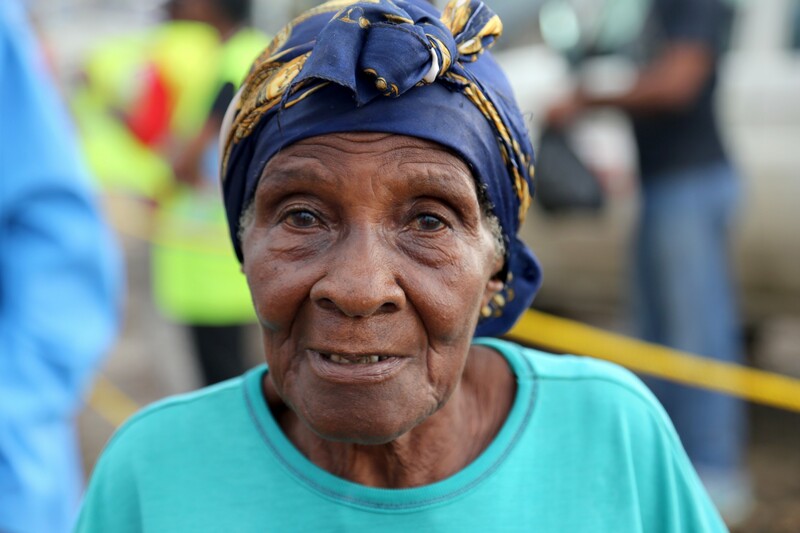 Jean was home during the hurricane, and she had to leave quickly to take shelter in the local hospital. “The roof blew off. My mattress and things were ruined. There are only a few columns left,” says Jean. She’s been staying at her house despite the bad conditions. “I covered part of the house with a tarp, but last night because of the rain, I had to stay upright all night so I would not get wet. I used containers to capture the rain,” says Jean. 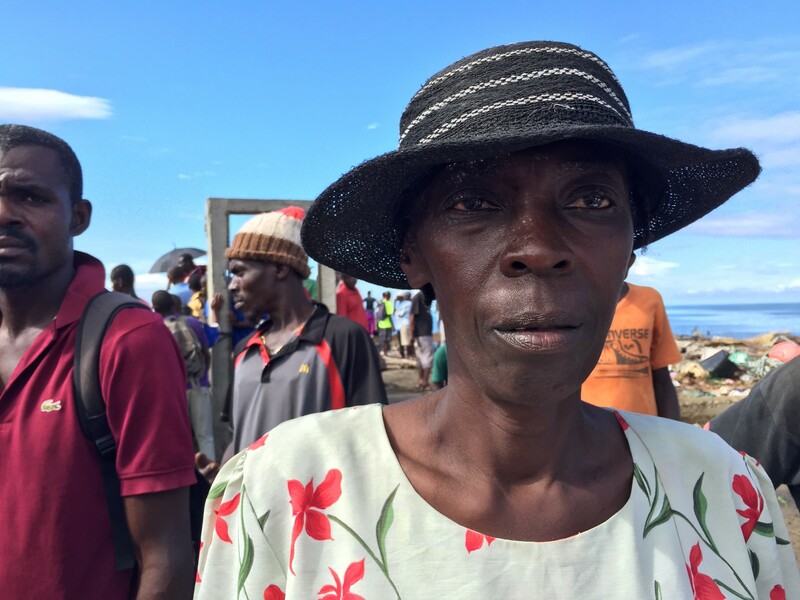 “I thank the Red Cross for providing me with another tarp so I can stay dry and other things to replace what I lost,” says Jean. This is the first time Jean has received any assistance since the hurricane struck Anse D’Hainault. Venante Fortue is blind. She hasn’t been able to see since she was three-years-old. Her house was completely ruined by Hurricane Matthew, and she had just built it. Everything is gone — even her birth certificate. She’s been living with a neighbour since the hurricane. “This is the first time I have received something, and I am very happy,” says Fortune.